Literally, green tea everything. I love green tea. It’s my tea of choice as well as matcha desserts! Been an avid fan since I was 12 and it’s just an addiction. Green tea is known to have many benefits and one of them is boosting the metabolism. Matcha powder is finely grounded green tea leaves that has a higher concentration of antioxidants. One cup of matcha green tea is the equivalent to around 10 cups of brewed green tea. I’ve been adding a teaspoon to my smoothies and drinking a cup before my workouts. Don’t let the colour blind you. When the tea is prepared properly, the taste is different to the brewed green tea bags. It’s more herbal-ly, earthy. If you’re not use to green tea in general, this would take longer to get use to. The tea will taste bitter if you add hot boiling water straightaway. Leave it to cool for 5-10 minutes then pour the water. A standard tea spoon doesn’t help blend the tea properly and you will be left with the powder settling in on the bottom of the cup. The traditional way is to use a whisk and you can buy it at Dream Matcha Tea Co as well. It does blend lovely when I add it to my smoothies to give me that extra boost even though I can’t taste the matcha flavour. I’ve used this to make pancakes, clean ice cream and oh boy, was it delish! I could add this to many things. The list is endless. 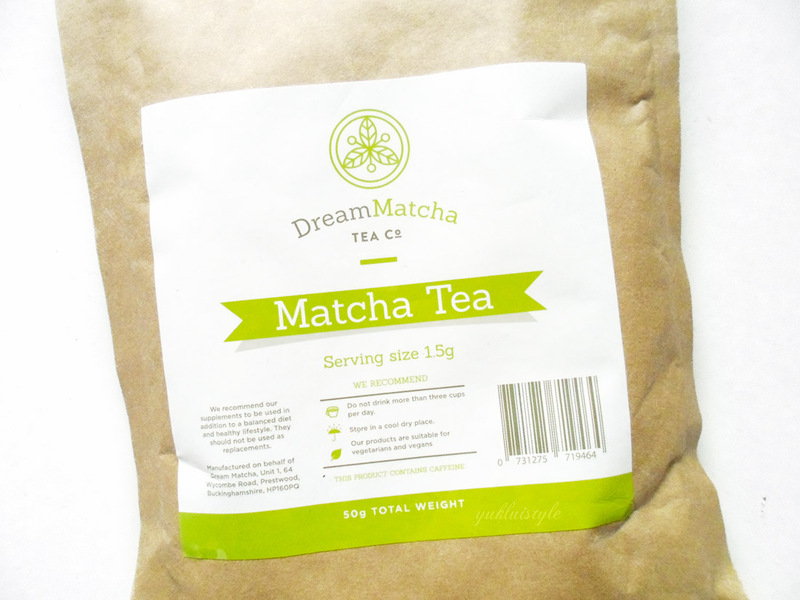 This is good quality matcha and is worth spending £13.99 on. 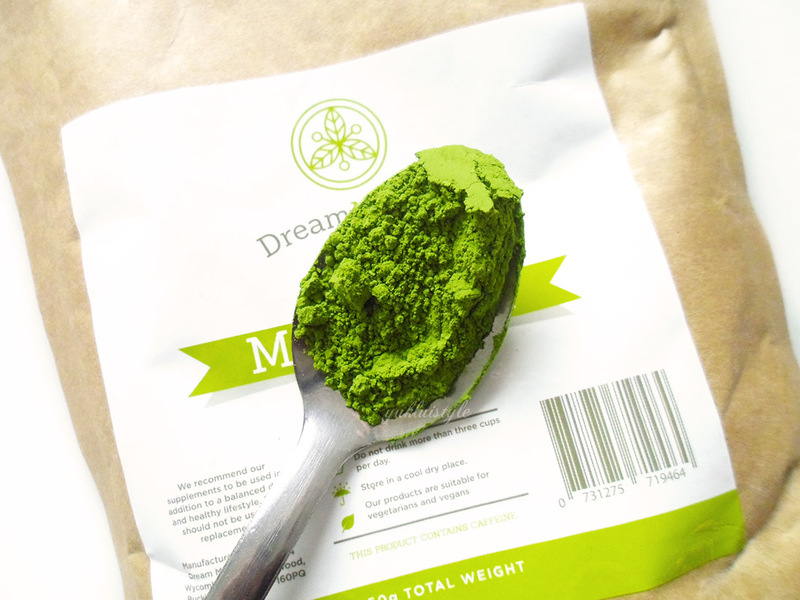 Dream Matcha Tea Co also run have a blog where you can find many yummy matcha recipes. Wow I can't say I've heard of this before but it definitely sounds interesting – I was never much of a tea person until recently so I'm always open to trying out new things! I have heard a lot of great things about green tea and in particular Matcha. The healing and soothing properties can be felt almost right away. The perfect unwind with tea. I am not much of a tea person but I sometimes enjoy green tea. Haven't tried this one yet. Should try soon! I like green tea because of its benefits there are days though that I would prefer something else. It's good to know how to prepare it the right way. Thanks for the instructions, I had no idea you needed a whisk for better blending. The color looks so bright and interesting. I'm hearing so much about Matcha tea of late. I should try it out too.. I am ok with Matcha, not as much as others, but I kind of like the taste. We have just come from Japan, and they really use it to flavor a whole lot of delicacies, including Kitkat chocolate bars. I'm not that familiar with matcha, I had no idea you weren't meant to use hot water! I bet this stuff is fab in smoothies. I have tried matcha tea but I can't say it's something I enjoy whole heartedly although I do like it as a flavour in baking etc. I haven't tried this but I definitely like the extra antioxidants. It might be nice to try it out. Matcha Green Tea is something that I have yet to try. I've read about its health benefits and I definitely should give it a try. I'm all for anything good for my body & well-being. Mm I love me some green tea. Living in Asia, they're quite everywhere. I don't mind it cause it's so good! Many thanks for blessing us with the instructions. Green tea is quite a herbal tea which edifies the body system to function properly. Matcha pancakes sound like a dream! It's great to have matcha tea. the antioxidant can really refresh your body. I have heard of it before. I would be willing to try it. When I drink tea, I go for peppermint or chamomile. I'm not so much a fan of green tea or matcha. There's a bitter aftertaste. It's acquired taste because my friends and my sister are just crazy over matcha. On the other hand, I love the bitter dark chocolates while they don't. I love green tea is awesome. I usually i had the tea bag I hardly buy the powder form. I like green tea and different options available in that. It is good for health too. Thanks for haring about this brand. I have heard about Matcha but never tried it, seems to be a good option for all green tea lovers. I've recently started to cut down on my coffee consumption and started to drink teas instead so I might like this one as an alternative. I have not try this Matcha Tea. I am curious what's the taste of the tea. Matcha everything! Aside from it being healthy, it adds great flavor to desserts, which is why I also love it. I hope they make this available here.